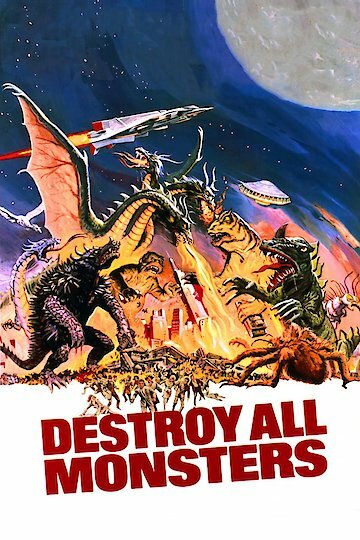 Fun for Godzilla fans and others alike, Destroy All Monsters (a.k.a. Attack of the Marching Monsters) marks the ninth in the series. All giant monsters have been captured by the United Nations Science Committee and taken to an island known as Monsterland, just off the coast of Japan. A research team is in charge of the facility however communication is interrupted and all the monsters are seen attacking the world's capitals! Control of the monsters has been taken over by a strange group of alien women. Their demands are that all mankind surrender or be destroyed by the rampaging kaiju! Destroy All Monsters is currently available to watch free on Tubi TV and stream, download, buy on demand at Starz, IFC, Amazon online.